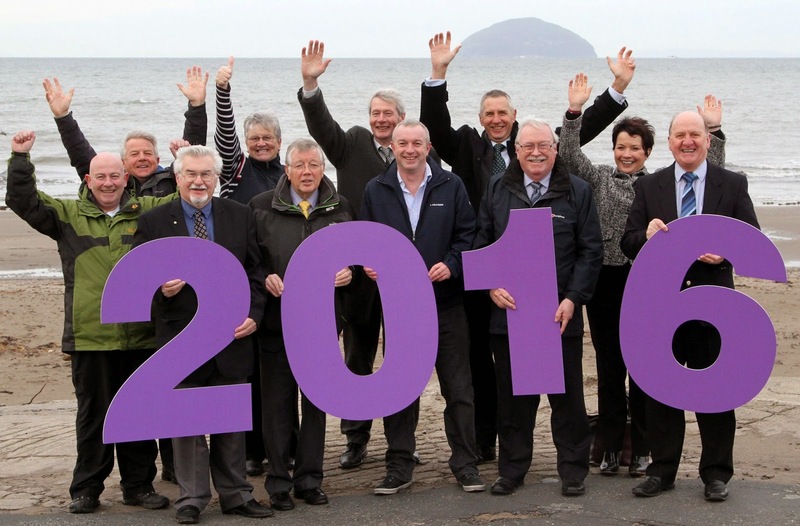 People in Girvan and South Carrick have 250,000 reasons to smile today (24 November) after the planned leisure and community facility at Girvan received a quarter of a million pounds from the Regeneration Capital Grant Fund. The £250,000 funding award means 90 per cent of the £5 million capital costs to build the new facility are now in place – with the outcomes of funding bids to the Hadyard Hill Community Benefit Fund and sportscotland for the remaining £500,000 expected very soon. The new facility – a partnership project between South Ayrshire Council and South Carrick Community Leisure (SCCL) – will transform the harbourside in Girvan. It’s scheduled to open in 2016. The facility will comprise a 25 metre pool, a two-storey soft play area, a superb fitness gym with around 40 fitness stations, a flexible multi-purpose studio that can be used for arts, culture and community events. It will also have a café area where people can keep an eye on the sport and leisure activities underway throughout the centre or simply sit back and enjoy the stunning views out to Ailsa Craig. Councillor Bill McIntosh, Leader of South Ayrshire Council, said: “Everything is really starting to shape up now to get work started on the new facility and I’m delighted with this latest funding award, which takes the community’s fundraising success to the halfway mark. “The progress with the fundraising is now matching the pace and progress of our own planning, which moves forward every day. We’re well on track to have all the funding in place very soon, we’re about to appoint the contractors to complete the design and build the facility, and we’re just a couple of years from a fantastic new community resource opening its doors to the people and communities of Girvan and South Carrick. Andrew Sinclair, Chair of SCCL, added: “I’m chuffed with this funding award, which means Girvan and South Carrick will have a new swimming pool – and so much more – in two years’ time. It really feels like we can start the countdown now as things are moving on at a swift pace. “We’re waiting to hear about our final two funding applications – fingers crossed there’s more good news to come! – and we’re about to take the design of the building to the next stage, moving us ever closer to work starting on the ground. That’s amazing progress and marks the start of our ambitions becoming a reality for our local communities. The Regeneration Capital Grant Fund has been developed by the Scottish Government in partnership with local authorities to deliver new and improved infrastructure in deprived areas.